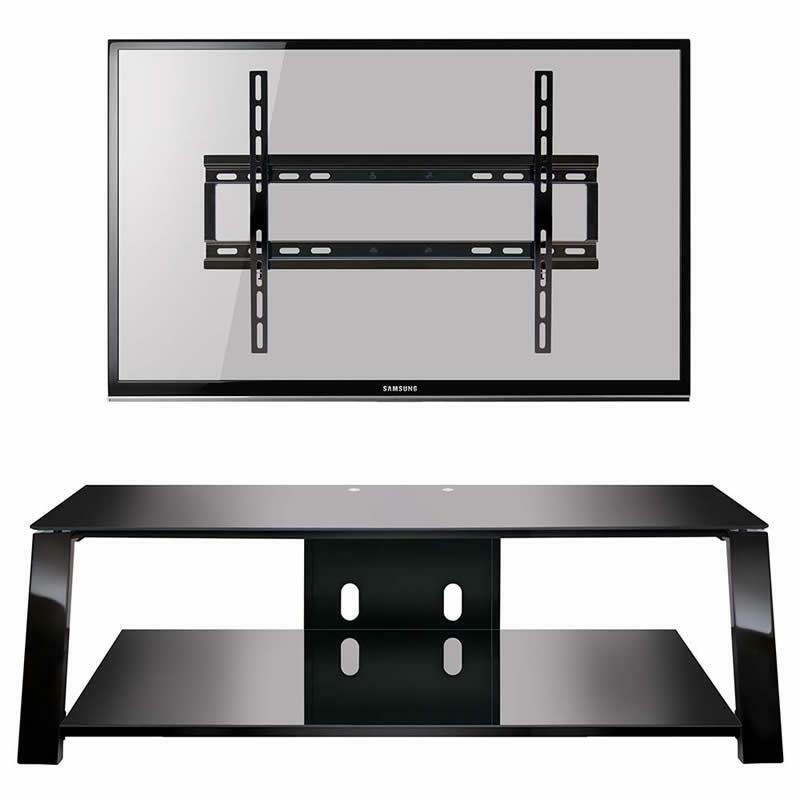 This Triple Play™ universal A/V system can hold most flat panel TVs up to 60" or up to 125 lbs., plus at least 4 A/V components. 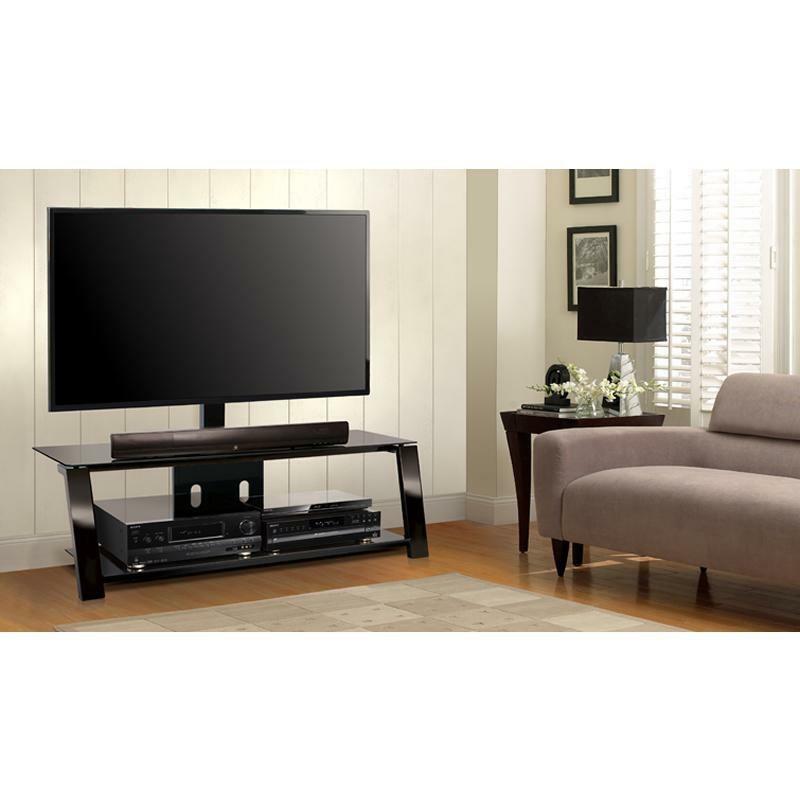 TV can tilt and swivel left and right for optimal viewing. 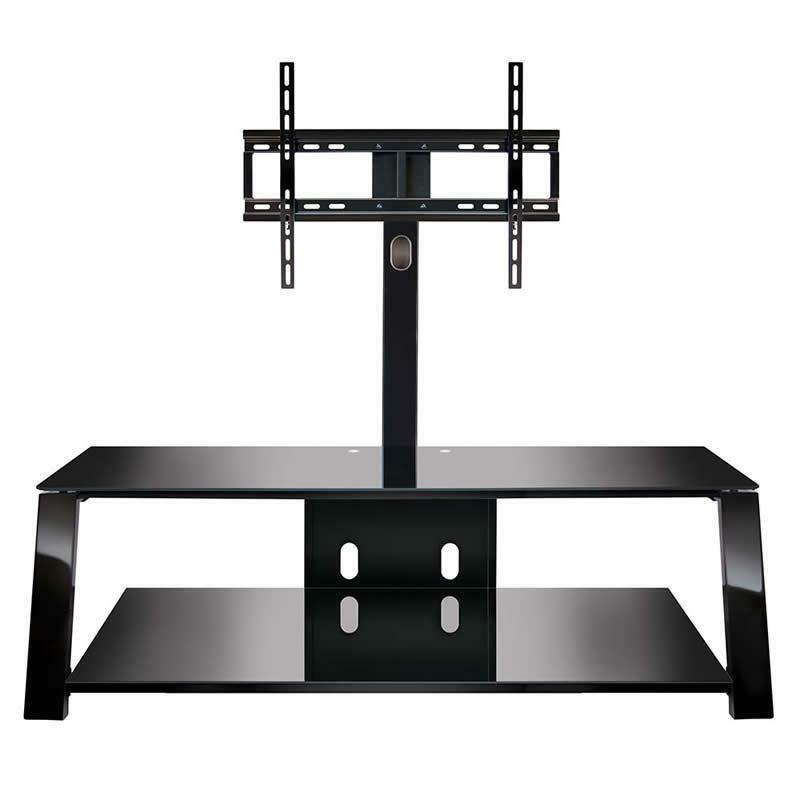 The rear mounting pole with universal swivel mounting system can be removed so that the furniture can be used as a 2-shelf stand alone table, or the swivel mounting pole can be removed and the TV can be hung on the included wall mount. 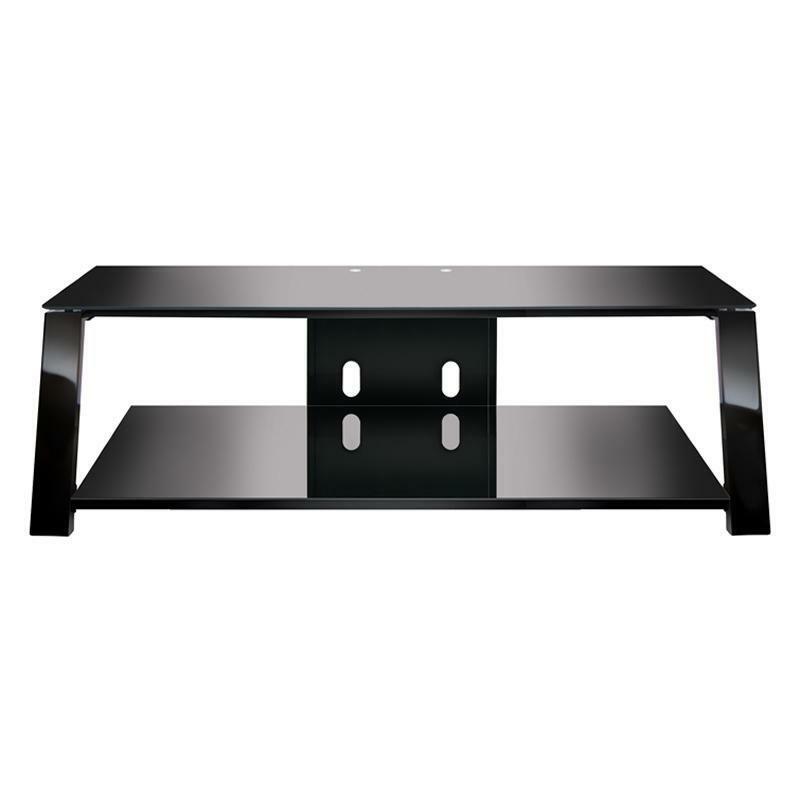 It features Black tempered safety glass shelves, and High Gloss Black scratch resistant, powder-coated steel. The open architecture design provides superior ventilation for components, and it includes an integrated CMS® Cable Management System to hide and organize unsightly wires and interconnect cables.